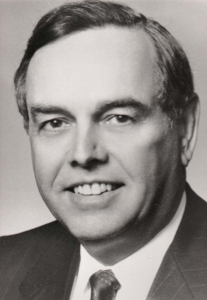 Our condolences to the family of Laureate John H. Bryan, who was named as a laureate in 1993 at a Convocation ceremony held on the DePaul University campus in Chicago at the Merle Reskin Theatre. John H. Bryan was a 1993 Lincoln Laureate in the area of Business and Social Services. He was a Mississippi native who moved to Chicago in 1969 and was the 1992 Crain’s Chicago Business Executive of the Year. Under his leadership as Chairman of the Board and CEO, Sara Lee Corporation contributed to non-profit organizations promoting culture and the arts and providing assistance to the needy and disadvantaged. Bryan was honored by the French Republic with the Legion of Honor for his cultural and civic contributions, including playing a major role in the United State’s participation in the French Bicentennial celebration.